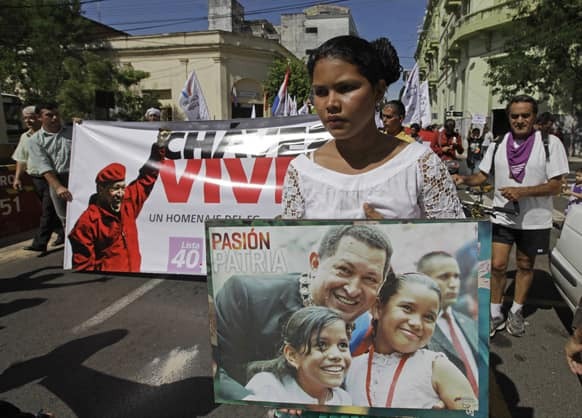 A young woman holds a poster of Venezuela`s late President Hugo Chavez during a march to pay him tribute in Asuncion, Paraguay. 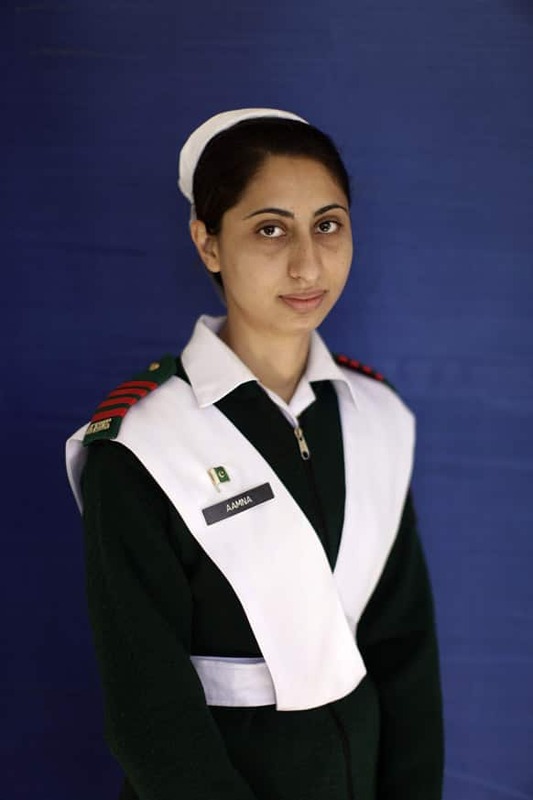 Pakistani army cadet Aamna, 25, who is deployed as a nurse at the Combined Military Hospital Rawalpindi, poses for a picture at the hospital, on International Women`s Day, in Rawalpindi, Pakistan. 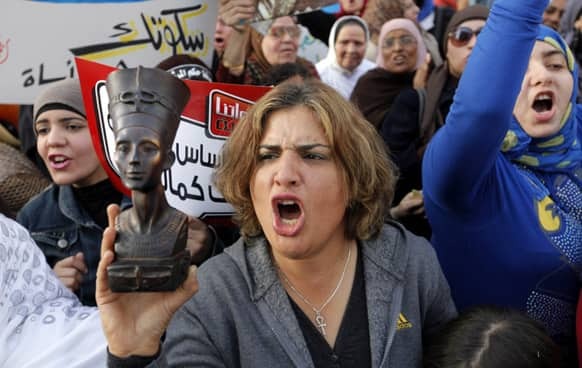 An Egyptian woman raises a statue of pharaonic Queen Hatshepsut, the only woman that ruled Egypt, as she shouts slogans during a demonstration in Cairo. 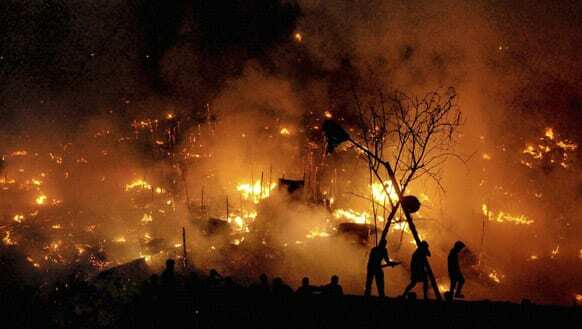 People are silhouetted as a fire engulfs a shanty town in the eastern Indian city of Bhubaneswar. About 300 homes were gutted in the fire, according to reports. 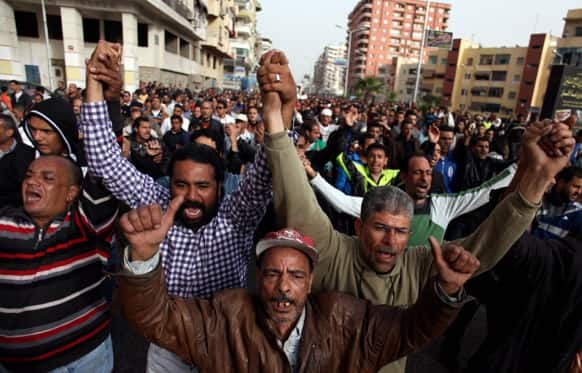 Egyptians chant slogans as others carry the coffin of Abd Alhaleem Mohanna, 23, who was killed on March 5, 2013 during clashes with riot police, during his funeral in Port Said, Egypt. 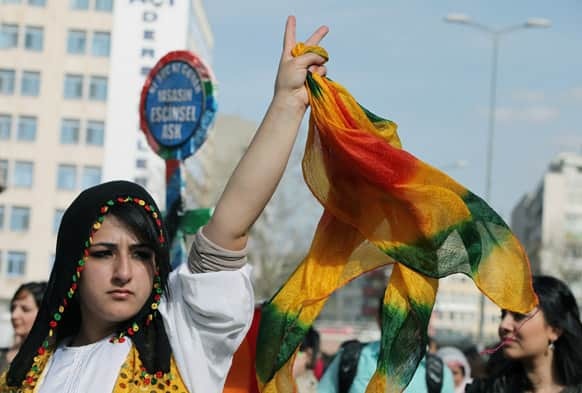 Turkish Kurdish women protest domestic violence against women, war and discrimination as they march to commemorate the International Women`s Day in Ankara. 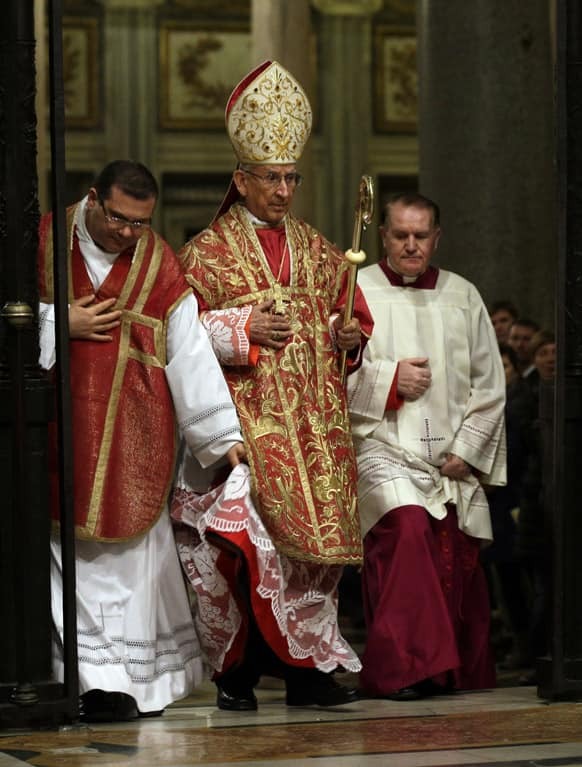 Cardinal Dario Castrillon Hoyos, center, arrives to celebrate a mass for the election of the new pope, in St. Mary Major Basilica, in Rome. 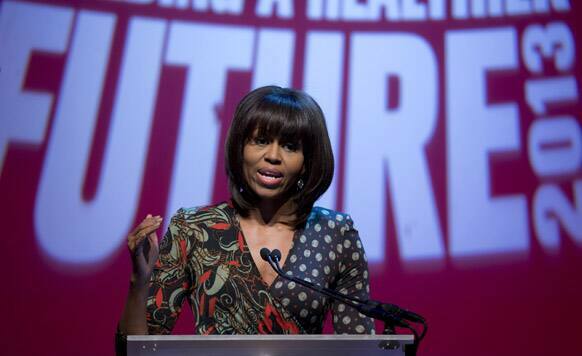 First lady Michelle Obama speaks at the Partnership for a Healthier America`s second Building a Healthier Future Summit on childhood obesity, at George Washington University`s Lisner Auditorium in Washington. 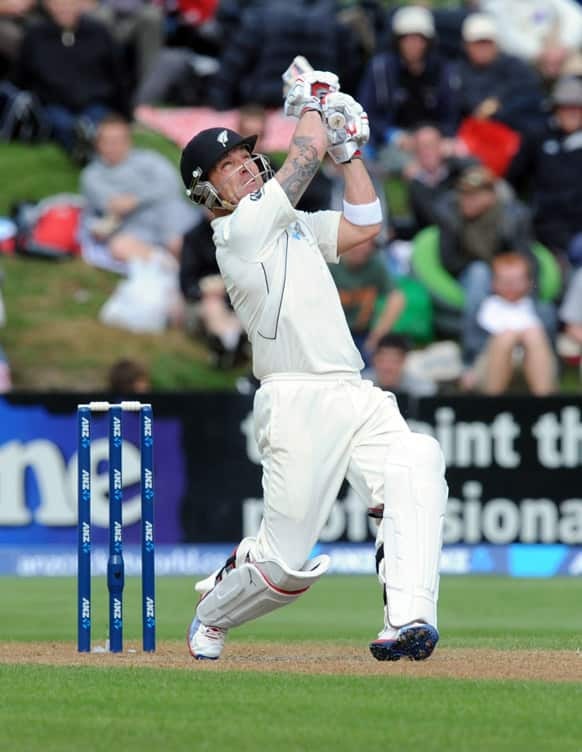 New Zealand`s Brendan McCullum skies the ball to be caught by England`s James Anderson for 74 off the bowling of Stuart Broad on the fourth day of the 1st international cricket Test, University Oval, Dunedin, New Zealand. 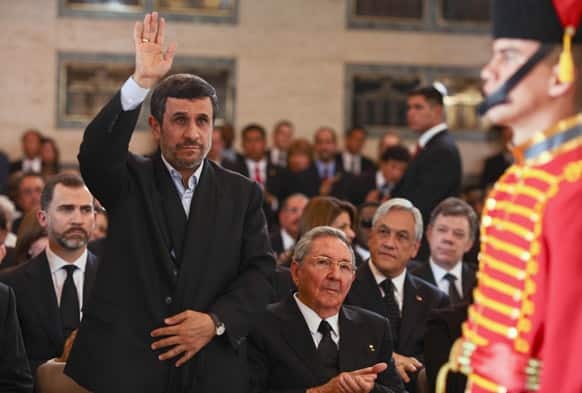 Iran`s President Mahmoud Ahmadinejad, salutes as he satnds next to Spain`s Crown Prince and Cuba`s President Raul Castro, during the funeral ceremony of late Venezuela`s President Hugo Chavez at the military academy in Caracas, Venezuela. 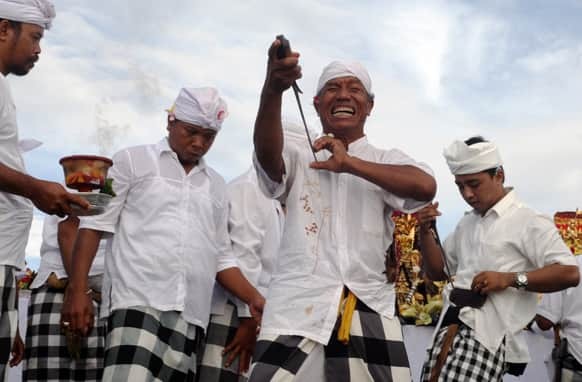 Balinese men are at the state of trance as they point "keris," a traditional dagger, to their chest during Hindu procession with an icon of the god of the sea in Sanur, Bali, Indonesia. 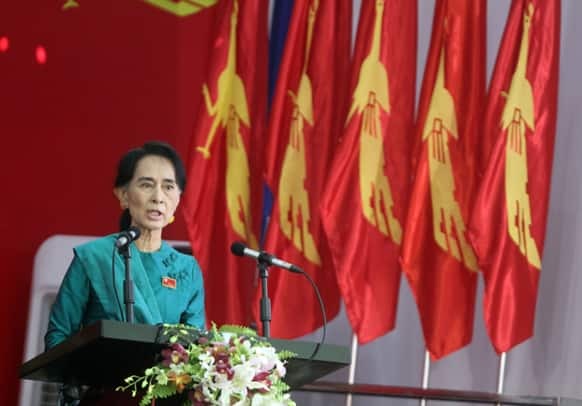 Myanmar opposition leader Aung San Suu Kyi speaks during the first day session of the first ever congress of her National League for Democracy (NLD) at Royal Rose restaurant in Yangon, Myanmar. 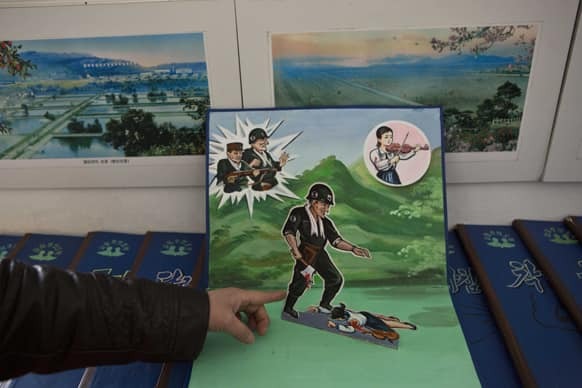 A North Korean teacher holds open a children`s pop-up book, which depicts a U.S. soldier killing a Korean woman with a hatchet, in a library room at Kaeson Kindergarten in central Pyongyang. 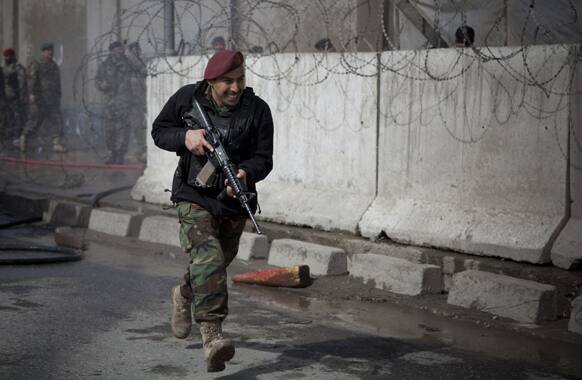 An Afghan Army soldier runs outside the Afghan Defense Ministry after a suicide bomber on a bicycle struck outside the ministry, killing at least nine Afghan civilians as US Defense Secretary Chuck Hagel visited Kabul, Afghanistan. 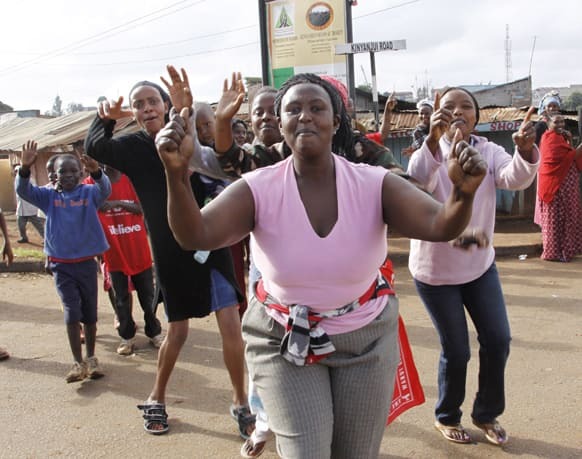 Supporters of Kenyan presidential candidate Uhuru Kenyatta celebrate what they perceive is an election win for him in Kawangware, Nairobi, Kenya. 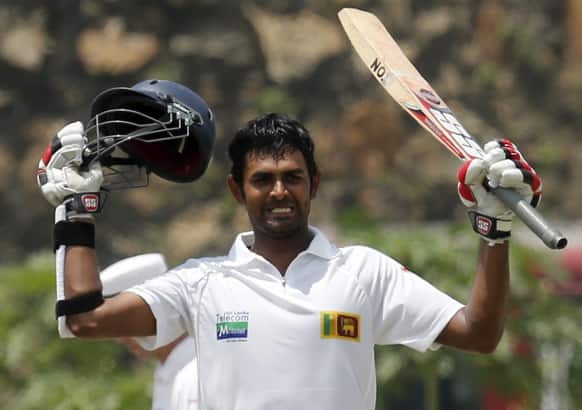 Sri Lanka`s Lahiru Thirimanne celebrates scoring a century during the second day of the first test cricket match against Bangladesh in Galle, Sri Lanka. Protesters march during an anti-nuclear demonstration in Taipei. 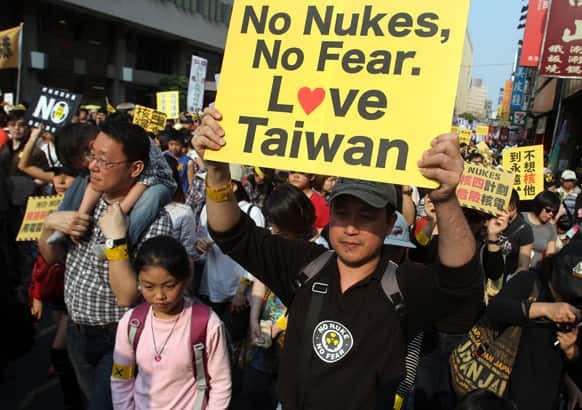 Tens of thousands of Taiwanese have protested to demand that the government scrap a $10 billion nuclear power plant that is nearly complete and slated to begin operating in two years. 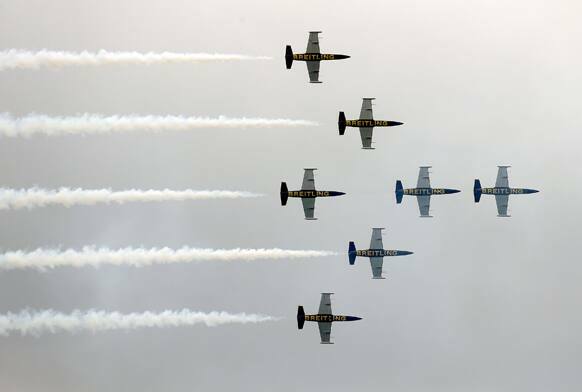 French Breitling Jet Team comprising of 7 Aero L-39 Albatross planes fly in formation during their Southeast Asian Tour aerobatics showcase, in Singapore. 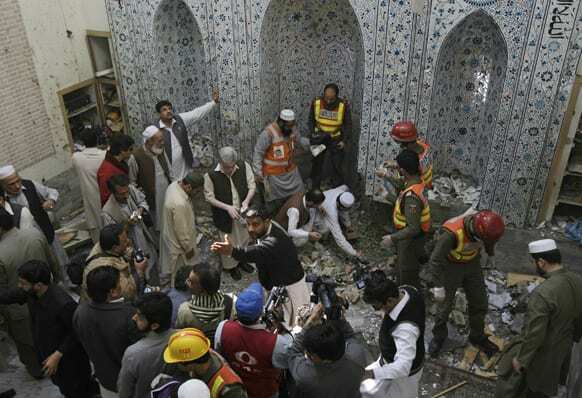 Pakistani security officials and rescue workers examine the site of bomb blast inside a mosque in Peshawar. 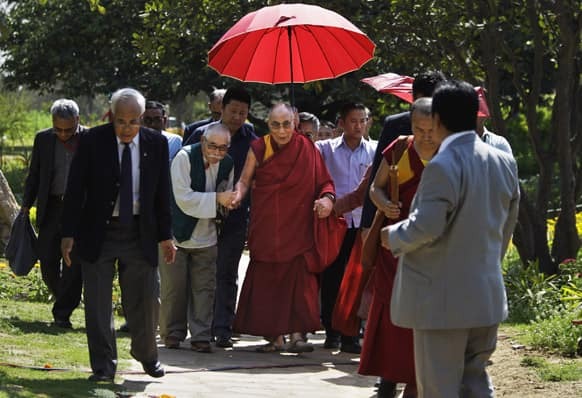 Tibetan spiritual leader the Dalai Lama arrives to give a religious talks at a park in New Delhi. Members of All India Forgotten Women`s Association protest during a day they mark as "Forgotten Women`s Day" in New Delhi. The protestors claim that some laws are biased and women-centric and that several cases of domestic violence filed against men and their families are false. Former Australian cricketer Brett Lee and former Miss Australia Jesinta Campbell walk in front of the Taj Mahal in Agra, India. The two are in the country to shoot for a documentary. 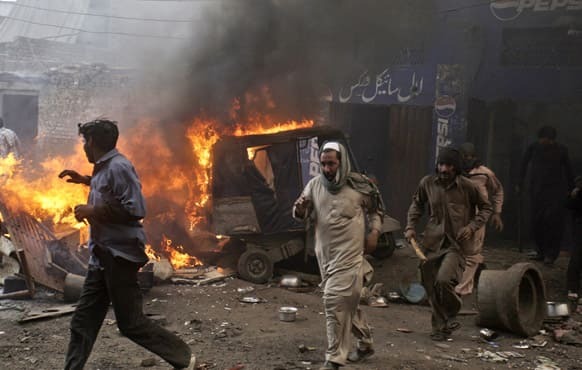 Pakistani men, part of an angry mob, run after burning belongings of Christian families, in Lahore. 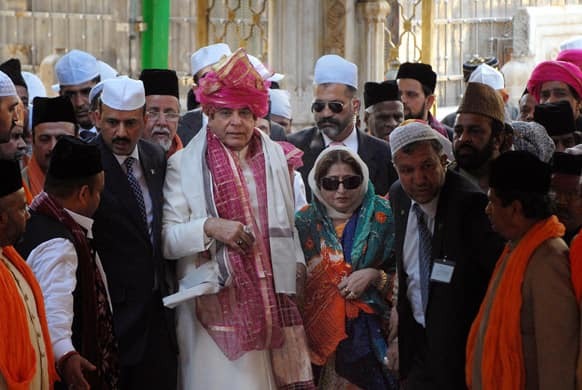 Pakistani Prime Minister Raja Pervaiz Ashraf and his wife Nusrat Pervaiz Ashraf visit the shrine of Khwaja Moinuddin Chishti in Ajmer. 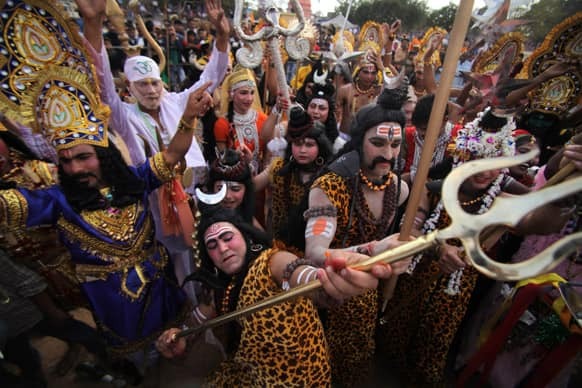 Devotees dressed as Hindu God Shiva participate in a procession on the eve of Shivratri festival in Jammu.